Save as you sail. Take a look at our fantastic offers on a selection of our polar cruises to the Arctic and Antarctica. The offer is per booking, valid against all cabin categories and is subject to availability at the time of booking. The offer is valid only on the departures listed above and cannot be combined with any other offer, except Explore loyalty discounts. It is valid only on bookings confirmed between 25th February – 30th April 2019 and the offer can be withdrawn at any time. The offer is per booking, valid against cabin Category 3 and above and is subject to availability at the time of booking. The offer is valid only on the departures listed above and cannot be combined with any other offer, except Explore loyalty discounts. It is valid only on bookings confirmed between 25th February – 30th April 2019 and the offer can be withdrawn at any time. 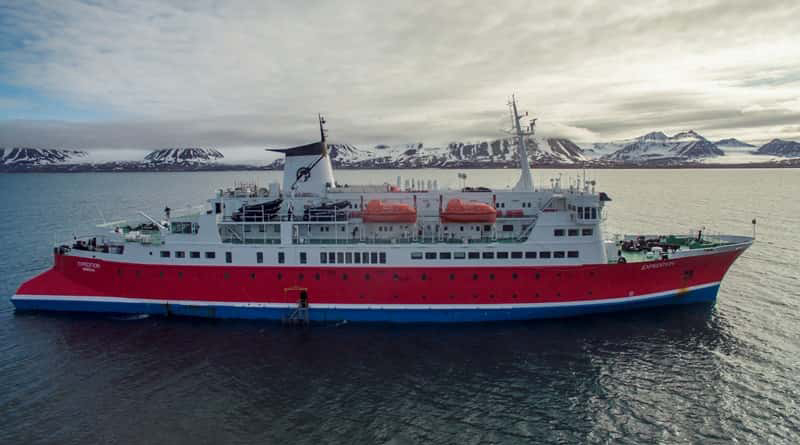 Save up to 25% on Antarctica 2020/21 and Arctic 2021 voyages aboard the Greg Mortimer – places are selling quickly! The offer is per booking, valid against all cabin categories and is subject to availability at the time of booking. The offer is valid only on the departures listed above and cannot be combined with any other offer, except Explore loyalty discounts. It is valid only on bookings confirmed between 19th December 2018 – 31st March 2019 and the offer can be withdrawn at any time. The offer is per person, valid against all cabin categories and is subject to availability at the time of booking. The offer is valid only on the departures listed above and cannot be combined with any other offer, except Explore loyalty discounts. Loyalty discounts will be applied to the voyage portion only and not against the flight cost. It is valid only on bookings confirmed between 3rd January – 31st March 2019 and the offer can be withdrawn at any time. The flight cost is based ex London but regional options are also available at a supplement, subject to availability. Booking your polar voyage early doesn't just give you more time to get excited about your holiday; it also means you can take advantage of our great cabin upgrade offer. On each departure of our Arctic and Antarctica voyages aboard the Expedition, the first booking in a twin-share category 2 cabin will be automatically upgraded to a twin-share category 3 - free! 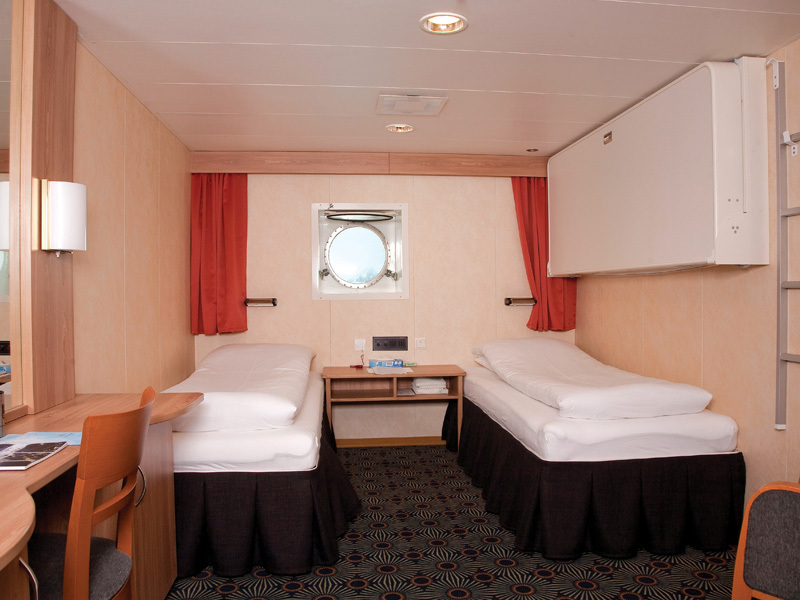 Category 3 cabins have a larger window rather than a porthole, with the benefit of being on a higher deck; this gives you the best vantage point from which to view the passing scenery. So, make sure you book as early as possible and be the lucky one to take advantage of this offer. The upgrade offer is ongoing, on a first-come-first served basis (until further notice) and is specific to the Expedition departures only. This offer is subject to availability at the time of booking and is only applicable to the cabin types as listed above. Upgrades are per person and cannot be combined with any other offer except Explore loyalty discounts. The offer does not apply to pre or post voyage services such as flights, transfers or hotel accommodation.